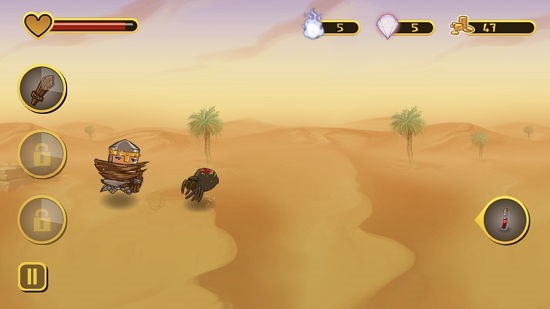 Epic Battle Dude is a free battle game app for Windows 8 and 8.1. 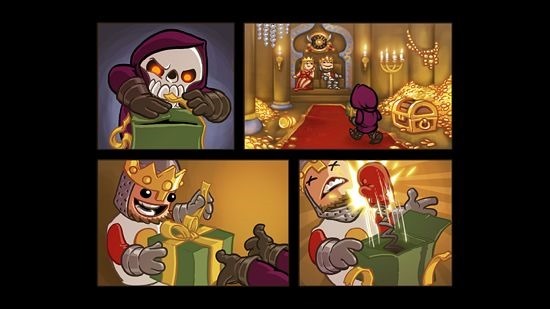 The game allows you to play as a king who has been kidnapped and who is raging to find his queen. In the process he will encounter many enemies whom he has to kill to finally meet the queen. The game is available for free from the App Store, and makes for a great download as it has pretty cute graphics, nice animations and great background tracks as well. Overall, the game has a good complete overall feel to it. 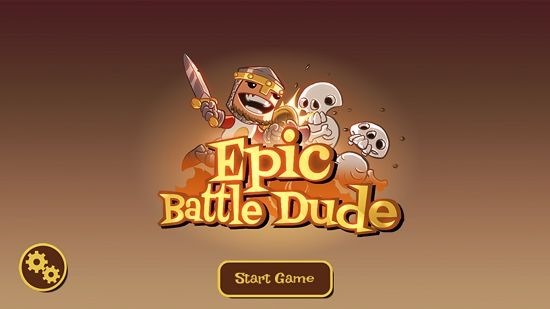 Epic Battle Dude is a free app and can be downloaded from under the Games section from the Windows App Store. The game’s main menu is the first thing that you will see upon installing and launching it. The introduction to the game is pretty gripping in a comic book like format. 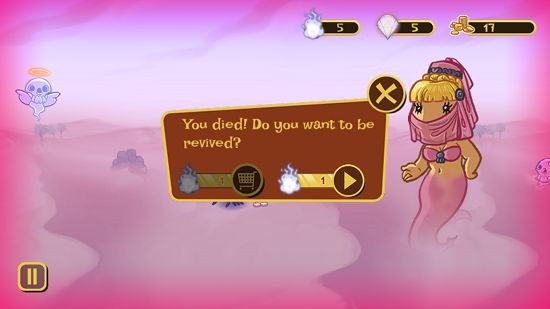 When you choose to start the game by clicking on the Start Game button, you will be shown the below interface of a comic strip like appearance. This will basically tell you about the storyline of the game. It can be skipped by clicking on the screen, although you might enjoy watching the strip as it loads up frame by frame. Once the loading is complete, the game will start with a brief tutorial on your screen. Once the game starts, you will see a screen much like the below screenshot. You will see the icons of your enemies at the right side of the screen whom you can provoke by clicking on their icons. Once provoked, the enemies will rush to you to attack you. You can revive with the game diamonds which can be won by completing levels or by simply purchasing them with real money. Once you successfully complete a level without dying, you will be taken to the game shop where you can choose to upgrade your attacks or defense by purchasing new swords, shields etc. with the coins that you collect in the game level. You collect coins by killing enemies who drop coins when killed. The game can be paused at any time via pressing the Esc. button or by using the pause button at the bottom left of the screen. 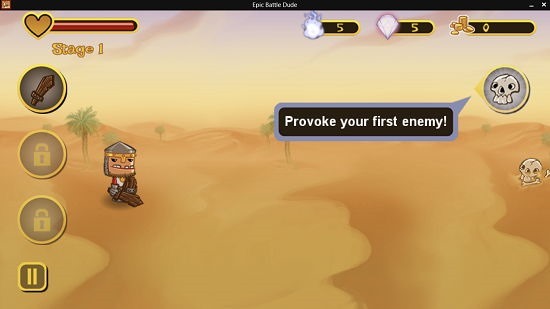 Epic Battle Dude is a great game for Windows 8 and 8.1 if you are looking for a game which allows you to have a lot of fun while passing your time. The game has awesome graphics to say the least, and the background score is gripping as well. The game is ad free, and there is nothing to dislike about this game at all!